As we go more and more into research about traveling and tourism, we realize that thousands of people share the passion for traveling and exploring the unknown.From day one the Tour Guide Mostar journey has been an incredible experience for our team. By collecting information about our hometown, history, architecture and contacting people who have visited us, we got the chance to communicate with real-life explorers. This weekend we would like to introduce you to Gina Rauf. She was raised by her Egyptian father and mother from Bosnia and Herzegovina. Her blog is about capturing moments from all around the world. It is a city of breathtaking beauty. Below is a view of the Old Bridge overlooking the Neretva River. In 1468 Mostar came under the rule of the Ottomans. The city developed and flourished as an urban settlement during four centuries of Ottoman rule. 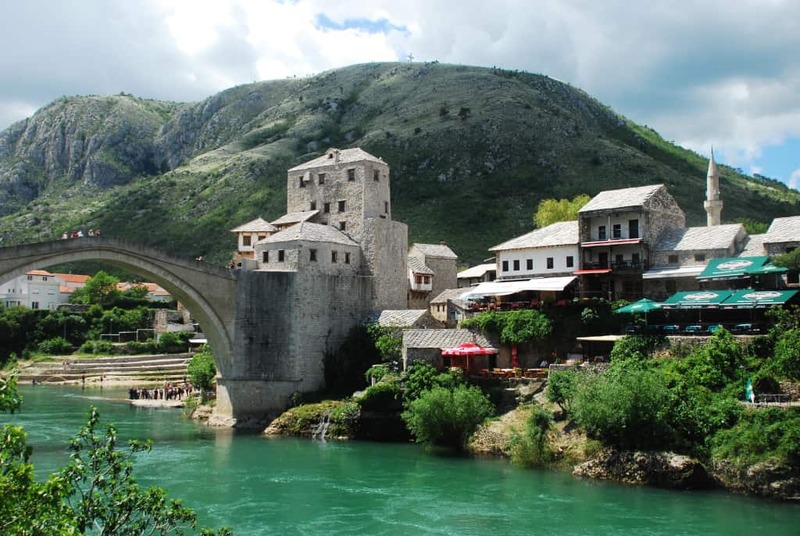 Mostar is famous for its Old Bridge and Turkish house. The Old Bridge was designed by Mimar Hayruddin, an Ottoman architect, in 1556. During the 19th and 20th centuries, Mostar was occupied by the Austro-Hungarians. The bridge was destroyed by Croat Bosnian forces in 1993 and rebuilt in 2014. For many people, myself included, the Old Bridge is a world heritage site that belongs to all of the humanity. Its destruction is a stark reminder that the erasure of history is always a threat posed by war and ethnic conflicts. Its reconstruction is a stark reminder that such erasure can always be resisted in myriad ways. The length of time it takes to produce a handmade piece confers a certain uniqueness. They are linked to a specific place and require specialized skills that are often passed on from father to son: as such they are emblematic of a coppersmith’s individuality and particular history. 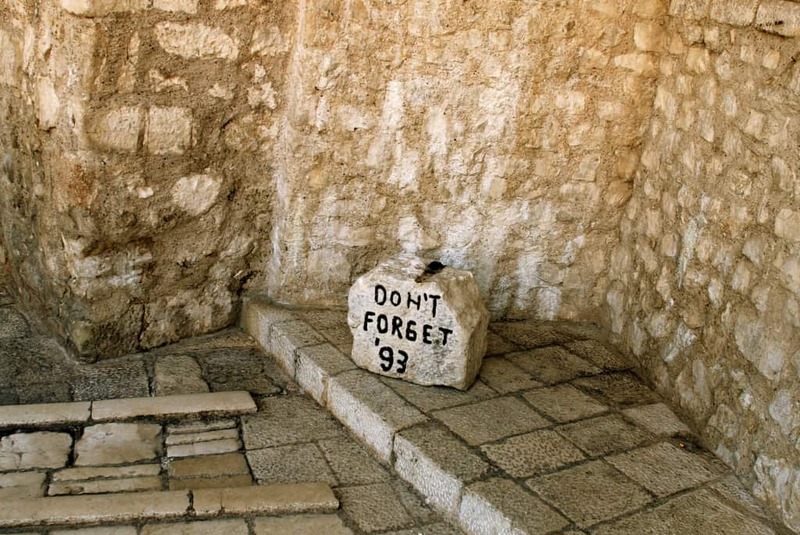 Being a producer of value in the aftermath of a war that targeted the cultural heritage of Bosnians and devastated their economic prospects is not a trivial matter. Ismet Kurt told us that these pieces were made by a local artist (cover photo), a young woman currently studying art at University who used the stone found in Mostar. The Ismet Kurt told us that these pieces were made by a local artist, a young woman currently studying art at University who used the stone found in Mostar. 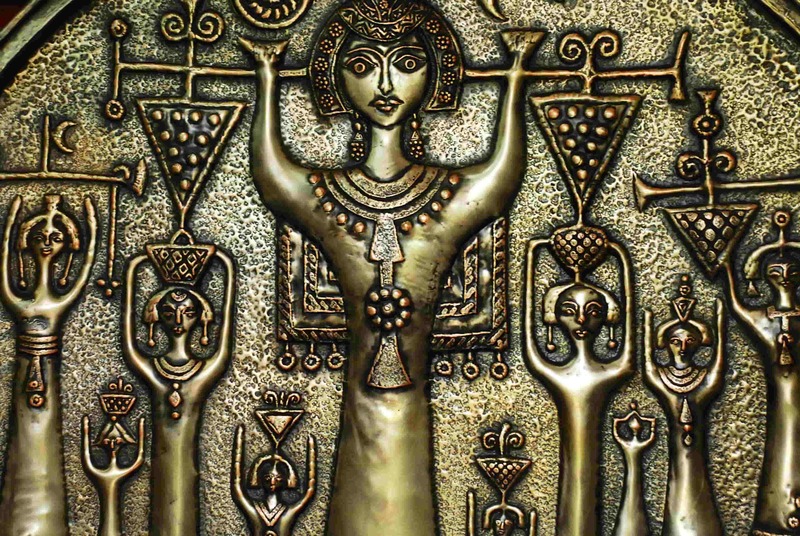 The geometric stylized face reminded me of some of his copper engravings. Unfortunately, I don’t remember the name of the artist but I do know that I can ask Ismet Kurt or his son. Their shop has become for me an invaluable source of local knowledge to which one can always return. Still, it bothers me that she is anonymous and that the piece is not signed.stylized face reminded me of some of his copper engravings. Unfortunately, I don’t remember the name of the artist but I do know that I can ask Ismet Kurt or his son. Their shop has become for me an invaluable source of local knowledge to which one can always return. Still, it bothers me that she is anonymous and that the piece is not signed.